Startup SheerID is attempting to solve the problem of seamlessly providing customers with offers based on their verified segment. Perhaps you have heard of the oft-repeated marketing joke where a CMO says, “We know 50% of our marketing is working, but we do not know which 50%.” The advent of tools and technology that provide data on customer behavior and buying habits is useful to determine the success of your marketing campaign. Today, marketers are constantly customizing offers for target segments of the market. Most companies have large amounts of data on their own customers and often have to seek the help of big data companies to find segments to customize an offer. The solution here is not simple. Marketers send out coupon codes, use email marketing, direct mail, or advertisements providing a coupon code or a specific URL for customers to redeem the offer. In my experience, coupons for goods that you can use almost immediately – like grocery coupons or a great food/restaurant offer – are attractive when they are timely. Deals from sites like Groupon could also be attractive for the savings they provide. What about reaching markets like students, teachers, retired persons, or association members? Very often, targeting them involves not only partnerships, but also expensive platform building and information exchange technology initiatives that need to be prioritized. Some skepticism may arise from a partnership being largely unproven as well. Eugene, OR-based SheerID, is solving this problem by providing a service where marketers can connect a website, registration form, POS, mobile app, or even a customer service team, with any authoritative database. With that established bridge, they provide a validating/verifying service so when the customer enters their information into a regular transaction, the system recognizes them and verifies their eligibility to receive the special price or discount. During Veterans Day, many companies honored veterans by giving them discounts; the retrieval of the offer was determined by the customer showing an ID to prove their eligibility. In today’s connected world, SheerID offers companies verification without the tedious process of the customer having to show their ID. I teach at Georgetown University, and when I was shopping at the Prime Outlets in Hagerstown, MD, I saw a J. Crew poster offering discounts to students and teachers. It was too late – I had already made the purchase at full price. 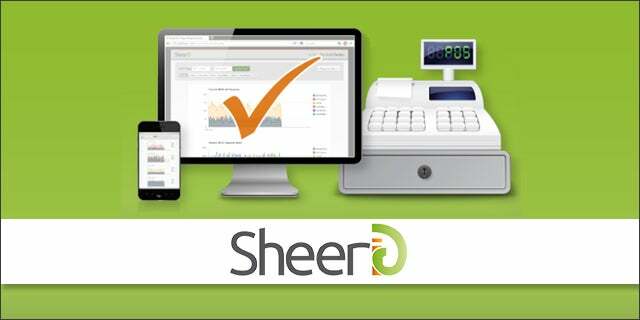 With an implementation of SheerID’s service, it is possible that J. Crew could trigger a question from the cashier- Do you know you are eligible for a discount as a faculty member of Georgetown? This would help them retain a customer’s loyalty and also help spread the word to this segment about the offer. A similar example is the academic discounts offered by technology companies. SheerID was founded in 2011 and has 14 employees in four cities. They have some competition; for example, a local DC startup, originally TroopSwap, has just recently evolved into Troop ID. Considering the trend of Big Data, companies like SheerID will enable marketers to move into a couponless strategy, and the tags and market segments the customer belongs to will automatically be part of the transaction.